On Monday, May 14, the US Supreme Court issued its decision in Murphy v. National Collegiate Athletic Association. 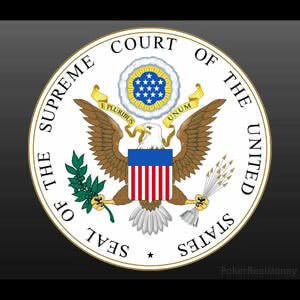 The justices voted 7-2 to overturn the federal 1992 Professional and Amateur Sports Protection Act (PASPA) that permitted only four states – Nevada, Delaware, Montana and Oregon – to legally offer sports betting. Those states were exempt due to offering sports wagering in some capacity before PASPA was enacted. As a result of the ruling, each and every state that so chooses can now tee up their very own sports betting regimes, in live casinos and/or online. New Jersey, the state in which the Murphy case originated, is expected to be first in line to offer sports wagering, with more than a dozen states to follow suit in due course – many of which had already been preparing legislation in anticipation of a favorable ruling. The Supreme Court justices, led by Samuel Alito, found PASPA to be unconstitutional. The 26-year-old statute was called an affront to state sovereignty by Alito, in that dictating what states may or may not do goes against the anti-commandeering doctrine as spelled out in the US Constitution. The highest court in the land took on the case and heard arguments in December 2017. That followed years of legal wrangling that began in 2012 in lower courts after New Jersey residents approved regulated sports betting and a Sports Wagering Act was signed into law by Governor Chris Christie. Pro sports leagues around the nation opposed the bill and joined together in a lawsuit fronted by the National Collegiate Athletic Association (NCAA). Both the US District Court and US Court of Appeals sided with the leagues that included the NFL and NBA. New Jersey continued battling in court, even under its new governor, Phil Murphy. The last stop was the US Supreme Court, and the perseverance of New Jersey finally paid off. Regulated sports betting will protect consumers who currently place illegal wagers on sports action estimated to be roughly $150 billion every year, according to the American Gaming Association. A 2011 ruling by the US Department of Justice paved the way for individual states to offer online poker and gambling by reinterpreting certain provisions of the 1961 Wire Act. The new Supreme Court decision, in effect, follows suit with regard to sports betting. While the state-by-state legalization of ipoker and gambling was moving at a snail’s pace with only four states on board thus far, we can likely expect the pace to pick up considerably thanks to the new ruling. David Rebuck, the director of the New Jersey Division of Gaming Enforcement, admitted as much last year when he told the AP that as soon as sports wagering is legalized, it’s inevitable that online poker and gambling will follow right behind it. Gambling expansion, both live and online, is expected to proliferate across the US due to the sports betting ruling. As sports wagering is regulated and gains momentum in terms of popularity, more states will probably consider online poker and casino action as additional ways of picking up needed revenue.